As bowhunters we all try to reduce our human footprint in the woods. Using scent control products or selecting the quietest hunting clothes we can find are key, but what about your bow? While most bows now come with some kind of sound control, there are often overlooked sources of sound that can and should be addressed prior to the hunt. The noise output of your bow can come from the accessories, limbs, strings, arrows, and even the design of the bow itself. By carefully analyzing and eliminating any potential noisemakers you can make a surprising impact on the potential outcome of your next hunt. While this may seem very rudimentary, starting with the bow itself can eliminate a lot of headaches from the get-go if you are trying to track down any errant sounds. Bows are under an incredible amount of pressure at all times and, because of this, vital components can shift throughout the draw cycle and on the shot. Cams and dry limb pockets are common “creakers” after a hard season of being repeatedly set down in the dirt and dragged across your favorite mountain range. Unfortunately, if you are experiencing sounds from these areas the bow will need to be put in a press where the tension can be relieved from the limbs and grease applied to both the limb rockers as well as any cam bearings. This is a service that most pro shops should be able to provide. Although it may seem like a quick fix, you should fight the urge to spray any aerosol lubricants into these areas as they can actually turn the area into a dirt magnet and also leave the smell of chemicals for that wiley old buck’s nose to pick up. Checking the berger bolt for tightness. Another problematic area that is commonly overlooked by many archers is the multitude of screws spread across the bow. As you practice throughout the year it’s not uncommon for screws to begin to back of out of their tight positions and cause a nasty rattle. Be sure to check cams, string stops, limb pockets and cable rods/roller guards as well as your accessories. These can all be common sources of vibration that get easily overlooked. With the limbs of your bow being one of the main driving forces behind your bow’s energy, it shouldn’t be a surprise that some noise can be generated here. Since the advent and popularity boost of parallel limb bows, there has been a drastic drop in the amount of sound produced on the shot (though some sound will always remain). 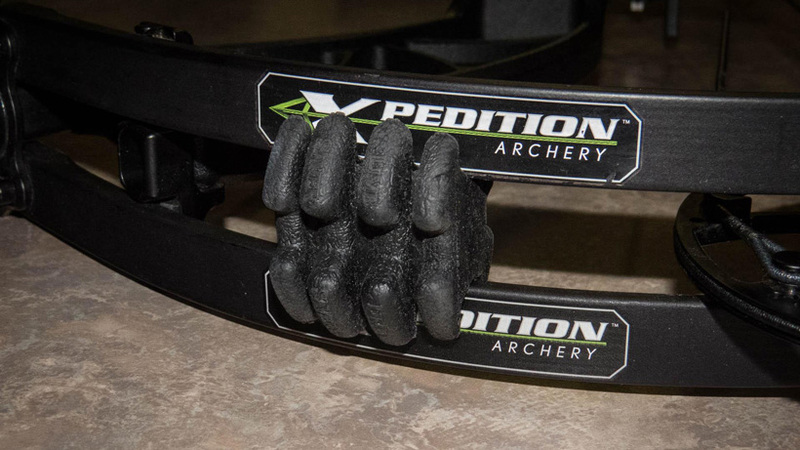 Rubber limb dampeners placed on the limb for a solid limb bow or in between the limbs on a split limb bow can reduce or eliminate any residual noise generated in this area. Beyond that, the limb dampeners can also reduce the transfer of vibration between the strings and riser, which can further reduce loud sounds. 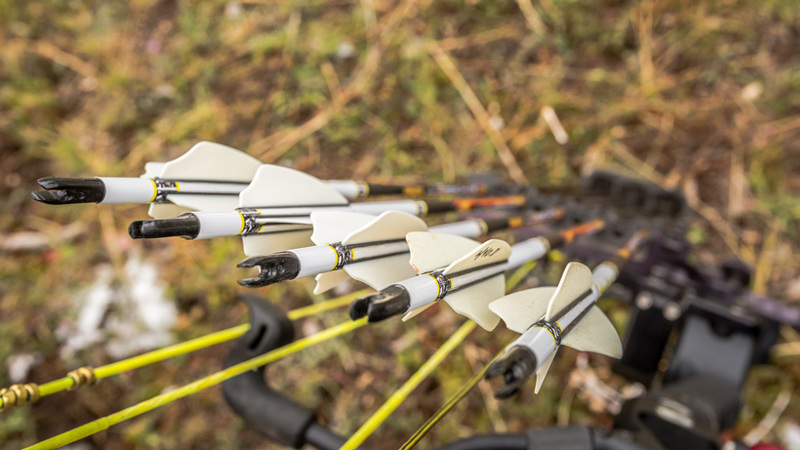 The biggest source of vibration in the bow is the string and is arguably, the most effective area to focus your effort when it comes to reducing the sound of the shot. When you release the string of your bow, the stored energy from the limbs and cams is transferred into the strings, which, in turn, causes the arrow to propel in a forward direction. Any remaining energy not successfully transferred to the arrow is now reverberated back into the string in the form of vibration and oscillation—or sound. String dampener installed in string. Installing rubber string dampeners or traditional cat whiskers can make huge differences in the sound of the bow. These will not only reduce the volume of the shot, but will also reduce the length of time that the sound lasts. Be aware that adding any additional weight to your string will slow the speed of your arrow though this is generally fairly negligible at only 1 to 2 fps (feet per second). Placing string dampeners in the cables, while not as effective, can also cut string noises with no speed penalty. Cat whiskers installed on string. Bows with longer axle to axle lengths are more prone to noise on the shot as they obviously have more available string material for vibrations to travel through. 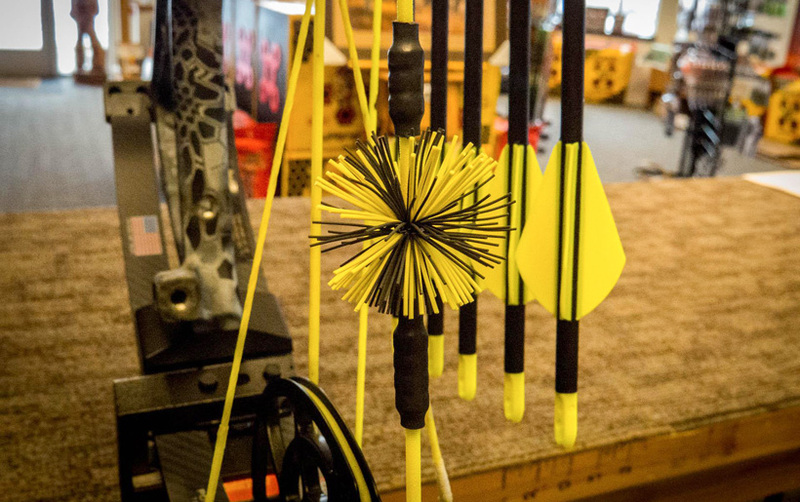 Head to your local pro shop and experiment with placement of your string silencers to find the sweet spot: every bow is different. While this is generally a factory installed option on most bows produced past 2010 or so, it definitely deserves a nod as string stops have probably made the biggest advancement in the reduction of noise in bows. String stops create an absolute stop on the bowstring in a given area at a consistent point, adding forgiveness for short brace height bows and reducing string movements after the shot. The stops, which are usually made of a soft and durable rubber, add a ton of noise dampening to the string at zero cost to bow speed. 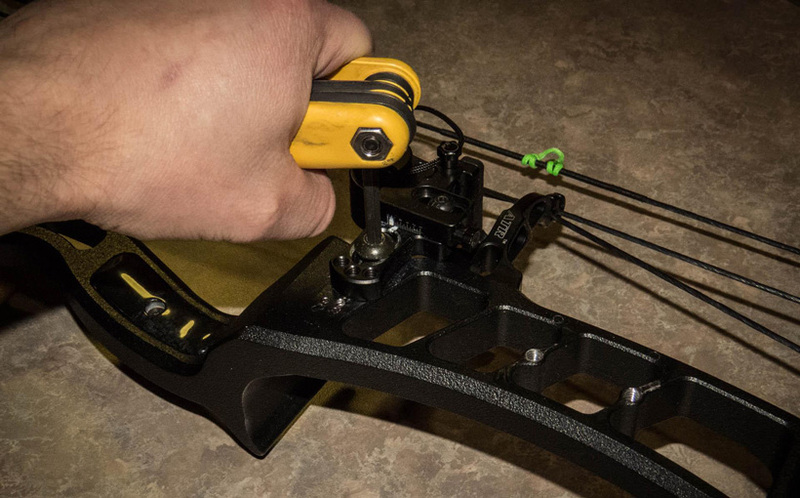 If your bow does not currently have a string stop, you can easily add an aftermarket part that will install universally on nearly every bow ever made. Noise from sights, rests, quivers and other accessories is something I see on my customers’ bows often and these noises can usually easily be fixed. When a bow is making any unusual buzzes or clunking noises, first I check every screw on each accessory to ensure nothing is loose; 90% of the time, this is the culprit. If the bow continues to make the noise after checking all of the screws, then I remove one accessory at a time and shoot the bow again, trying to narrow down which one is the problem. I will continue removing accessories from the bow until a culprit can be found. Factors contributing to noise from your accessories can be large and unique and generally requires careful inspection of each piece individually. Mole skin installed on Hamskea Hybrid Hunter Pro launcher arm. Mole skin and other silencing materials should be applied anywhere your arrow may make contact. For this, I like to nock an arrow and move it around it’s entire range of motion while noting contact areas with the riser, arrow shelf and sight. These contact areas can then be silenced by applying silencing material as needed. Be mindful of arrows that may come into contact with the bow and accessories as you move the arrow from the quiver to the string as well. Pay special attention to your rest, specifically if your rest’s launcher arm is made of metal. 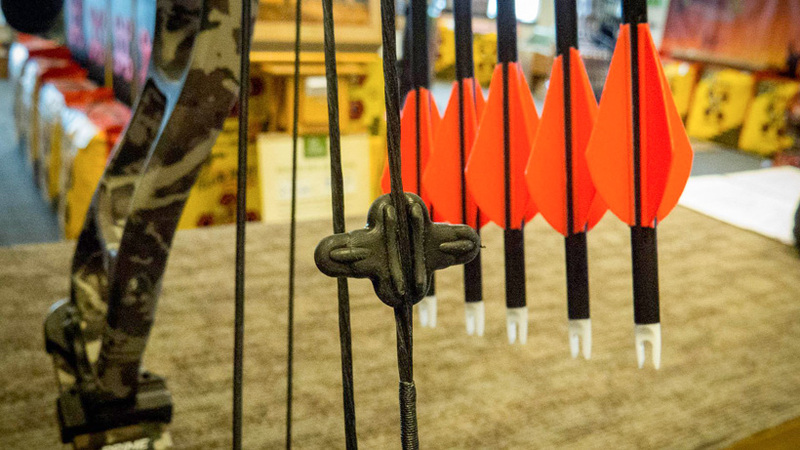 Carbon arrows that drag across metal launchers are one of the loudest sounds out there. While at full draw, all bows (aluminum and carbon) will experience riser flex from the increase in pressure. This flex can cause accessories to shift slightly on the bow and also create clicks and pops. When putting together a hunting bow for myself, I always inspect areas where metal will contact metal and apply a thin layer of athletic tape to the location. 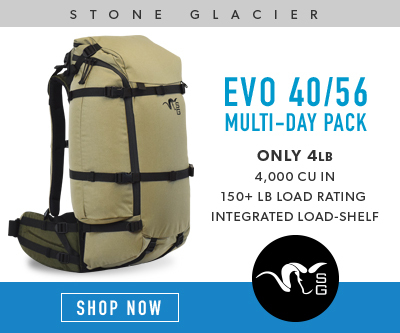 Common places to look are the sight, rest, quiver mount and stabilizers. While I’m not one to preach to anyone on the weight of the arrows they choose to hunt with, it is undeniable that a heavy arrow will simply absorb more energy (and potential noise) on the shot and quiet the bow down. Hunters do not need to go to an absurdly heavy arrow to accomplish this. In fact, I’ve found that with my setups, using an arrow above the six grain per pound range (420 grains at 70 pounds) generally produces a very quiet setup while still allowing me to maintain speed and performance. Believe it or not, the actual tune of your bow can also affect the noise output of your setup. When a bow, specifically a two cam bow, comes out of tune, the two cams are now traveling at different speeds on the shot and stopping at different times as a result. This sudden shift in uniformity can cause an audible difference in how your bow sounds. 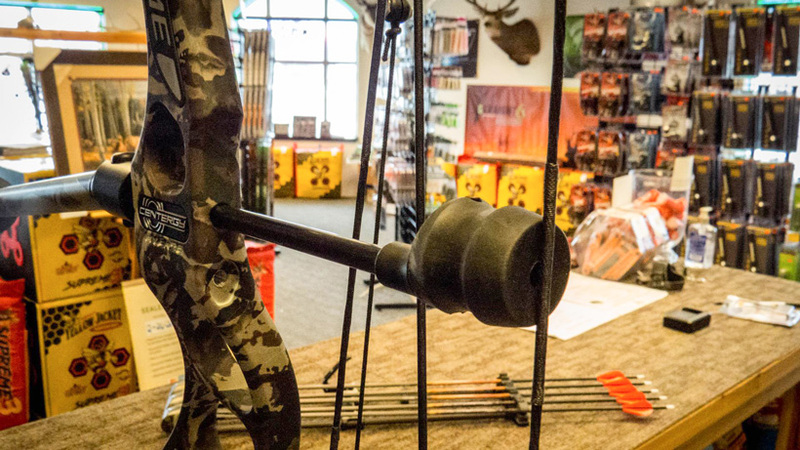 Other than resolving possible noise issues, it's important to keep your bow tuned year-round to get the most performance and efficiency from your setup. After following these steps you should now be shooting a quiet hunting bow, decreasing your potential of getting noticed when drawing and, hopefully, reducing any chance of animals jumping the string. A few things to keep in mind here is that some bows are just inherently louder than others and certain sounds and tones are just impossible to remove. It is also important to remember that the bow will always sound louder to the person shooting it. Instead, have a trusted friend shoot your bow as you stand safely off to the side. It’s amazing how much quieter your bow will sound. As bowhunters, our number one priority when it comes to successfully punching a tag is sneaking into the effective range of our targeted game. Nearly every species we chase each fall spend every minute of every day of the year in constant defense mode as they keep a watchful eye out for predators. Heck, even some of the predators are keeping an eye out for each other! Being silent is pivotal to success. Every avenue we can address to limit any potential unnatural sounds can lead to more consistent success. 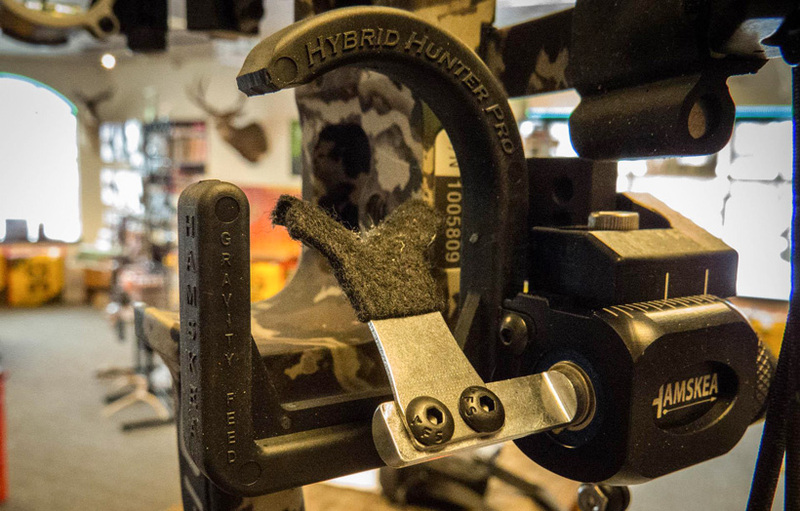 @Mike N. Diagnosing a limb noise can be very tough without actually having the bow in front of you but I would say first things first, get your bow into a reputable shop and have them check it out. Creaks and cracks coming from the limbs can sometimes be simple or very serious. Often times, dirt and dust and cake into your limb pockets or cam axles and create a creak or a crack sound. In order to rememdy this correctly the bow will need to be completely broken down and greased inside the limb pockets and pivots. This could also include removing the axles and greasing these as well. Another possibility is that there is a small crack in one of your limbs. A good way to check for this is to run a cotton ball back and forth along all surfaces of the limb. Any errant fibers will grab the cotton ball and leave behind fibers. Bottom line, I would not to shoot the bow any longer until a tech can take a look at it. Good luck! I am having the cracking noise in my limb pivot right now. I'm skeptical on using grease... Wouldn't the grease attract dust particles? If not what kind of grease would be used?